The packing set comprises an endless U-ring firmly supported by a header ring. The lips of the U-ring are slightly flared to provide an interference fit for initial sealing. 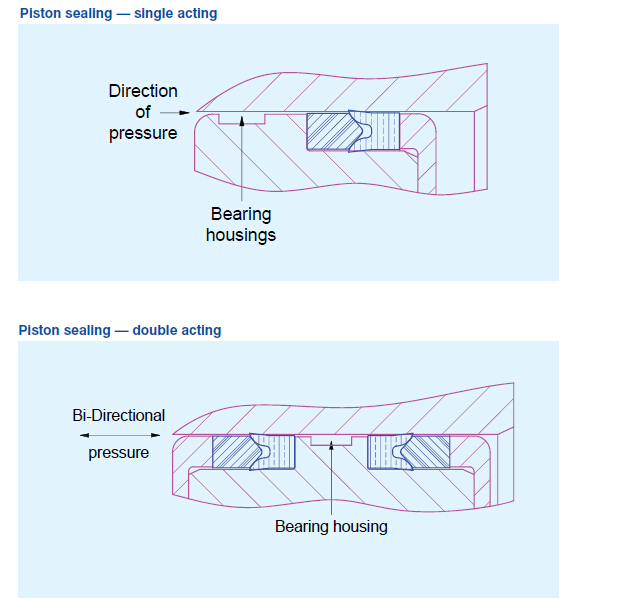 When system pressure is applied, the sealing force is increased significantly by reaction within the tongue-shaped cavity of the U-ring. Very well proven on reciprocating plant worldwide. Readily available in traditional sizes for older plant. Suitable for adjustable and nonadjustable axial length housings.